Shaun Jarvis gives a discussion at the Fremantle skatepark on skatepark etiquette as part of the skatepark coaching workshops. 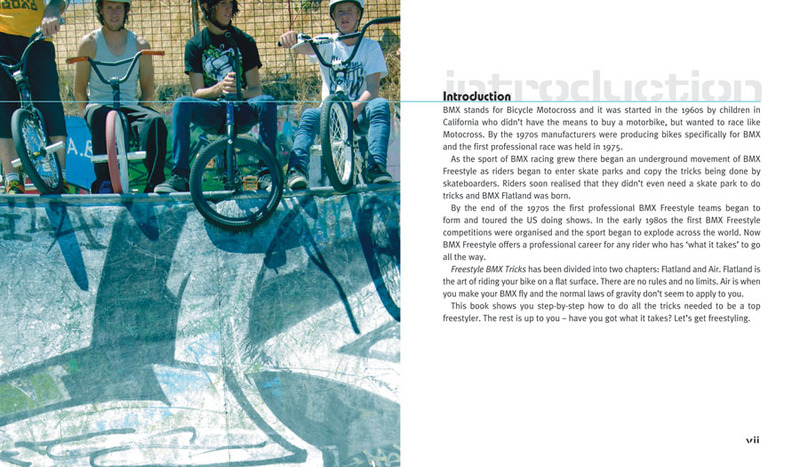 This is some great information to new young skatepark users and especially parents. 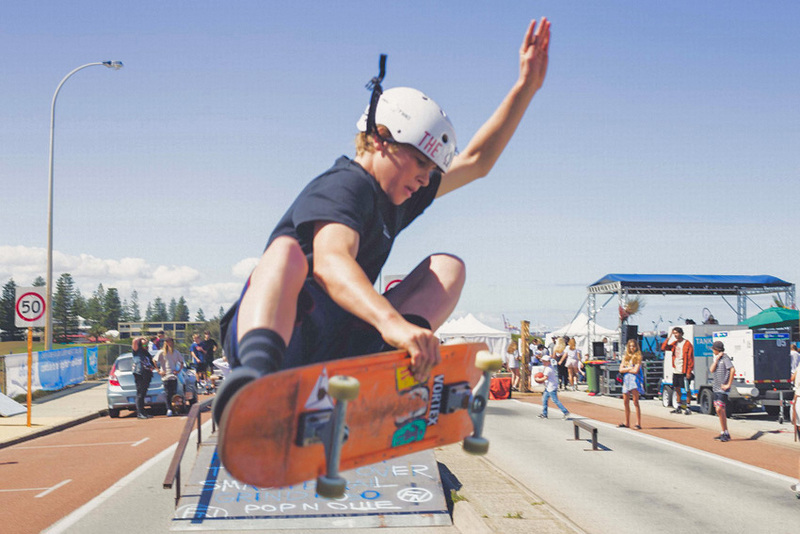 Young skatepark users don’t retain information well and it’s important for parents to help educate their young ones on the do and don’ts at a skatepark to give all users a great experience at the skatepark. This discussion took place at one of the recent Fremantle scooter sessions and covers skatepark etiquette (what to do and not to do at a skatepark), foot placement on a scooter, scooter design differences, quick maintenance and helmet safety. Please give it a watch and educate yourself in skatepark etiquette so that all users at the skatepark will have a rad experience. 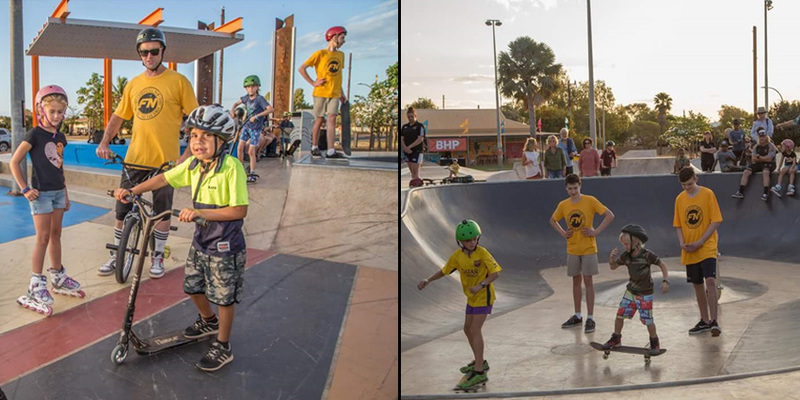 South Hedland skatepark saw round 7 of the Freestyle Now Western Australian Skatepark Series take place. 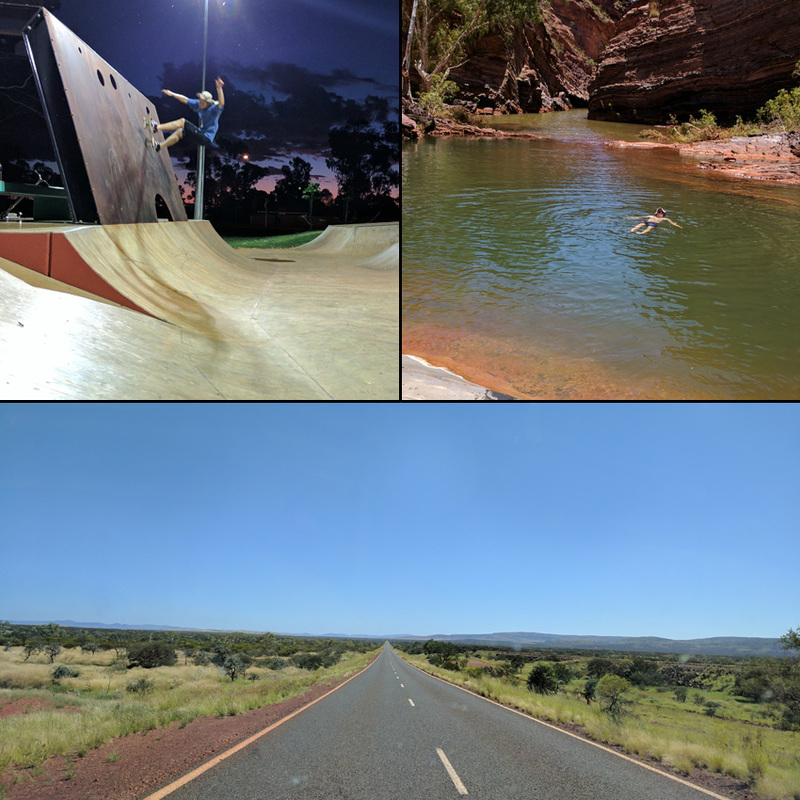 South Hedland skatepark is massive and one of the biggest in Western Australia. 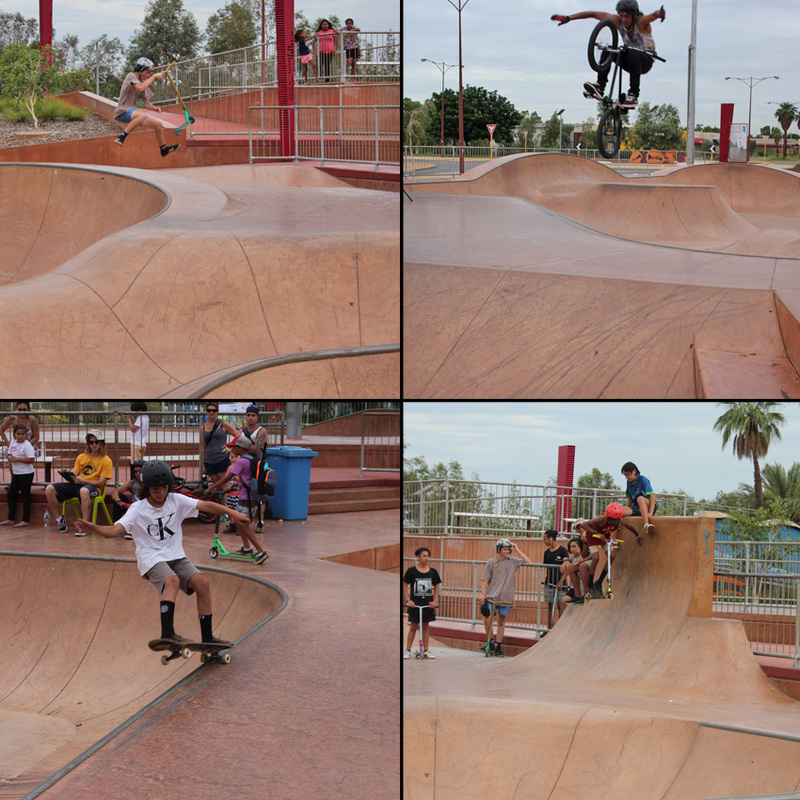 The scene in South Hedland is a strong one with a real great strong group of skatepark users all progressing well. It is good to see the progress over the last few years of some of the young shredders. 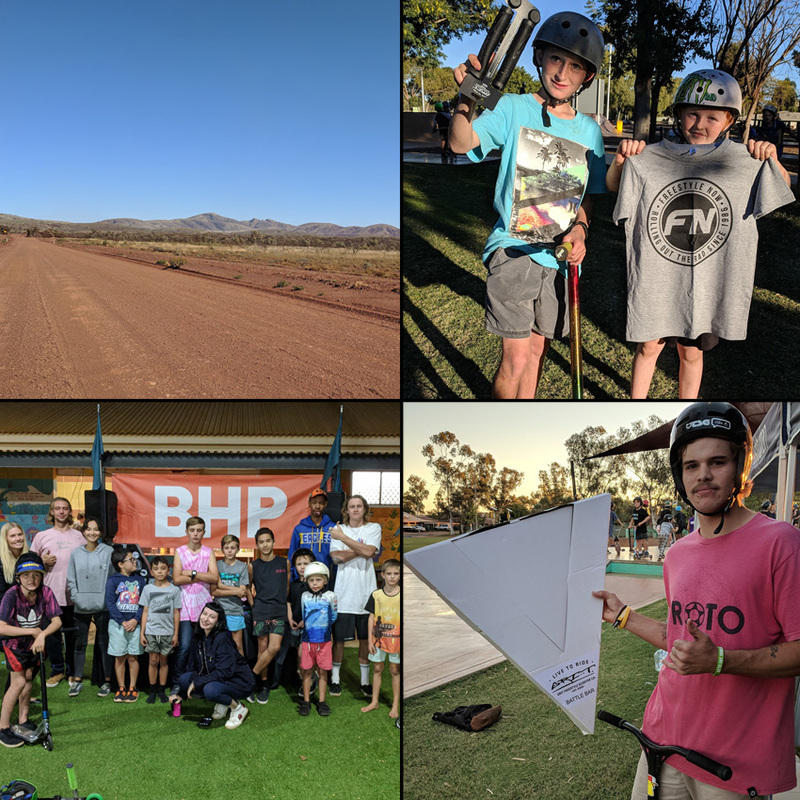 On this trip to South Hedland squad members Shaun Jarvis, Mitch Harris and Kieran Ramsay flew there to host some skatepark coaching workshops as well as the skatepark competition. The scene there is small but rad and the skatepark coaching workshops really help to build the skills of the participants. When Freestyle Now hosts a skatepark competition there are three classes for competitors to enter, beginners (younger and still learning), intermediates (competitors with some good skills) and the open class (consistent and dials tricks) in the three disciplines scooter, skateboard and bmx. There is also a girl’s class to help encourage more girls to enter. 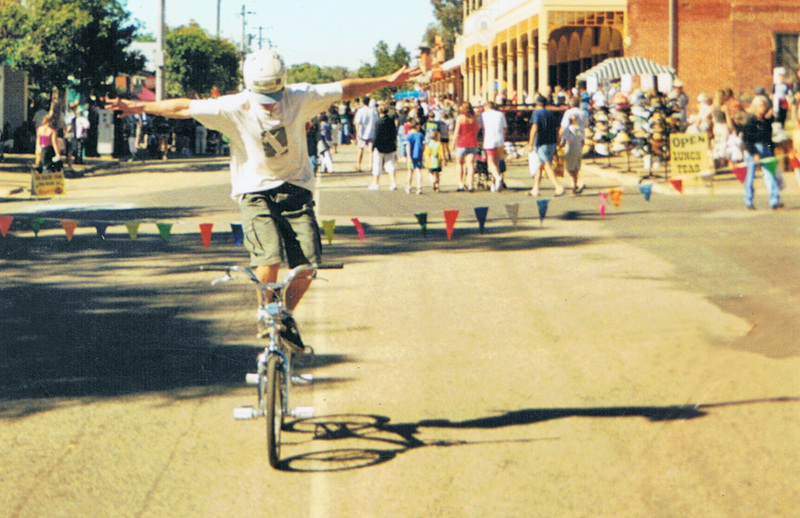 We would like to thank the Town of Port Hedland and our supporters, Colony bmx, Sacrifice scooters, 4 skateboard Co . Round 9 of the 2017 series takes place at the Rockingham skatepark on the 13th of May. Be sure to check our coming events page for all the latest information. 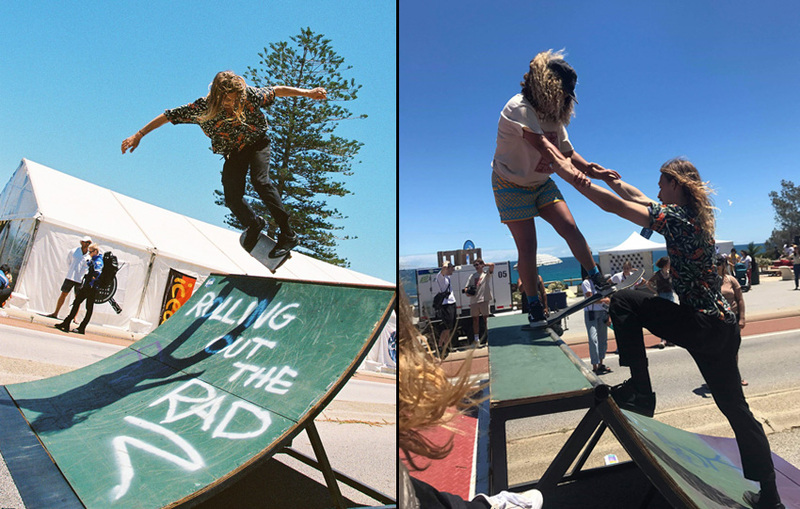 Clockwise from top left – Cody Broome has been progressing well over the past few years and it is good to see him still shredding 2nd in open scooters – Tory Burns is a machine, he is what we call a tri rider, smashing the rad on all 3, bmx, skateboard and scooter. Here is a tuck no hander on his bmx – Kane McPhee took out 1st in scooter intermediate and it’s great to see him back at it – Brock Viliamu was on holidays from N.S.W. and was over whelmed with his prizes from his fist place in intermediate skateboard. More photos can be found on the facebook page here. Scooter beginner – 1st Jamal Doyal, 2nd Jasiah Dann, 3rd Mahlyk Collins, 4th Cimmaron Smirke, 5th Toben Smirke, 6th Isaiah Park, 7th Latrell Walters, 8th Leo Drage, 9th Robert Drage. Scooter intermediate – 1st Kane McPhee, 2nd Malach Ching, 3rd Alan Borell. Skateboard intermediate – 1st Brock Viliamu, 2nd Tory Burns. 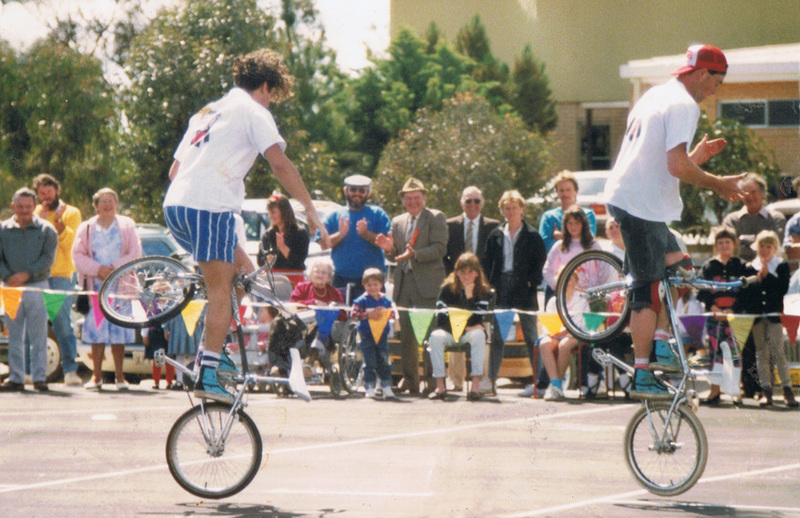 BMX open – 1st Tory Burns. Freestyle Now recently headed to Tom Price for the Nameless festival to host a skatepark coaching workshop session. 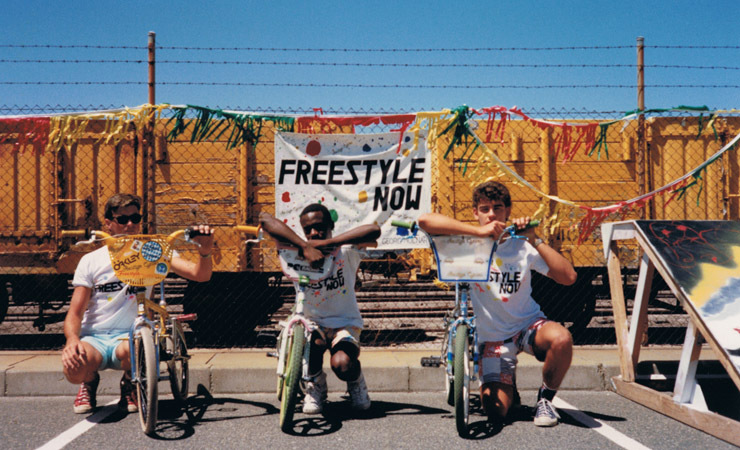 Freestyle Now squad members Ben Thomas, Mitch Harris and Jarrod Murfit did an amazing job helping the workshop participants learn new skills and skatepark etiquette. 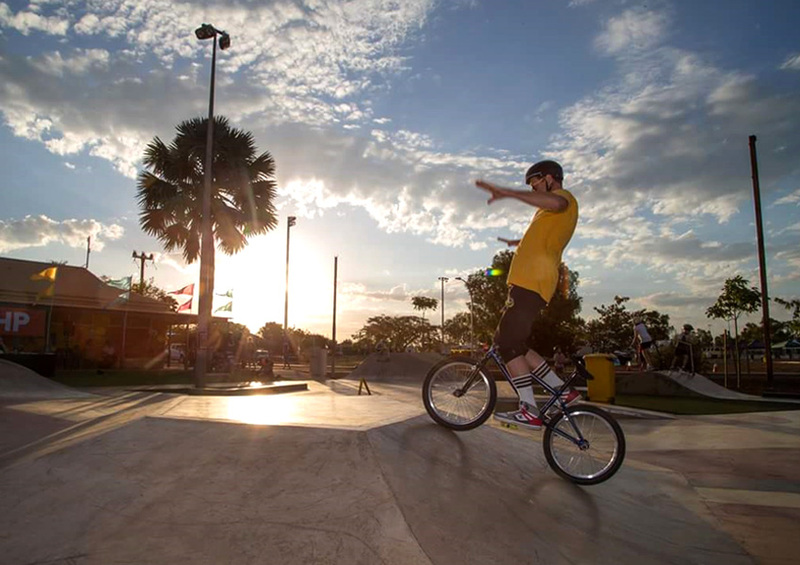 The participants also got to be involved in some skatepark games and mini competitions to win prizes. 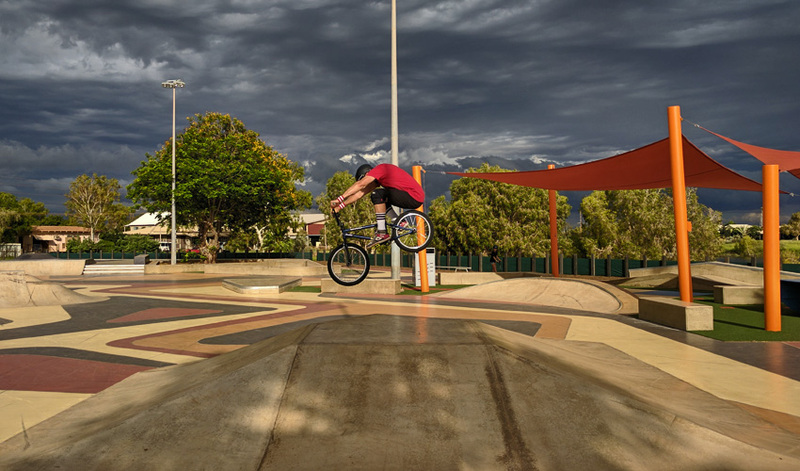 Ben, Mitch and Jarrod, also dropped into the Paraburdoo skatepark for a quick roll before flying back to Perth. 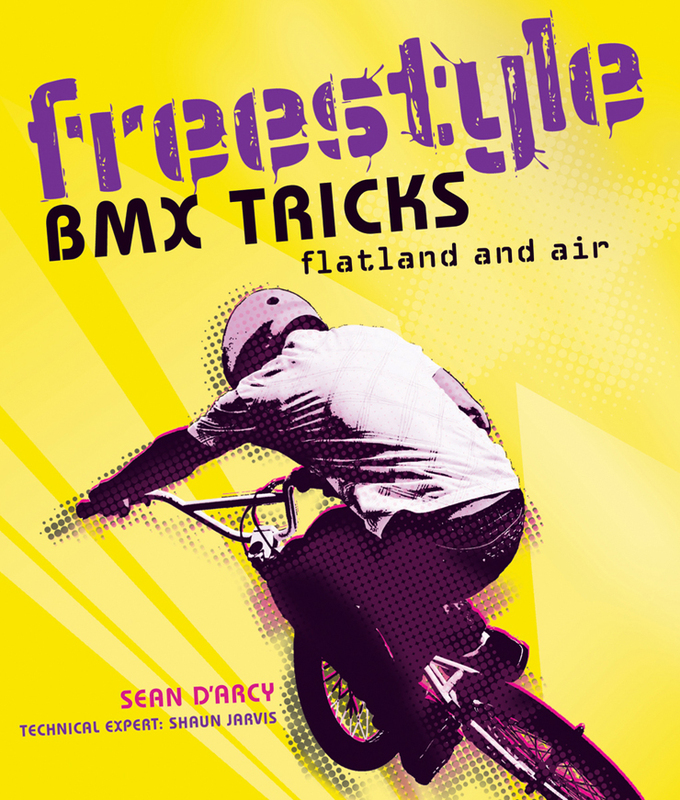 Freestyle Now hosts many skatepark coaching workshop at many various skateparks, be sure to check our coming events page to see where the next one is you can attend. The below video was put together by Jarrod Murfit. Give it a watch to see the squad rolling out the rad.